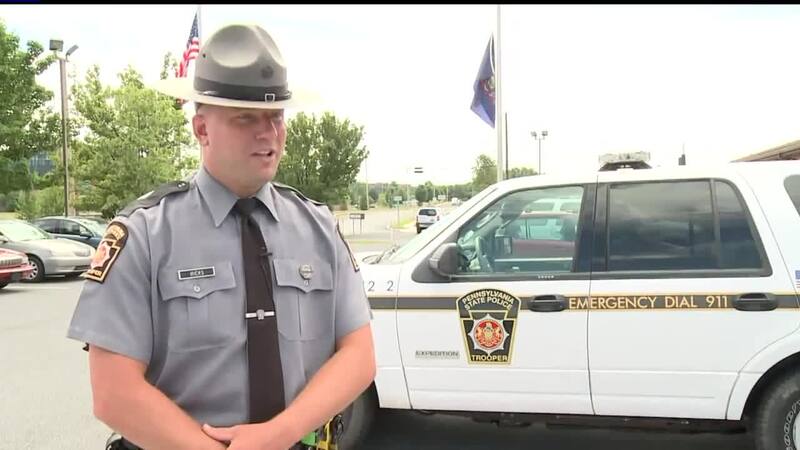 Pennsylvania (WPMT) -- Pat Beck and her husband David thought something might be wrong when the police showed up to the vacant trailer-home next door in late June. On Friday, when they learned a human brain was found under their neighbor's porch, the couple was terrified. "It just scares me to death," Pat said. "I didn't think they were that kind of people, but nowadays, you never know." The brain was found in a Wal-Mart bag under the trailer's front porch. Police say the duo who used to live there is wanted for participating in multiple burglaries. On Thursday, Pennsylvania State Police charged Joshua Long, 26 of Carlisle, with abuse of a corpse for his role in the brain activity. According to court documents, Long would frequent the Penn Township home of Robby Zoller and Angela Micklo. While there, state police say, Long would soak marijuana in the brain's formaldehyde, and he and Zoller would "smoke 'wet'", causing an intense, hallucinating, and dangerous high. Long was already in Cumberland County Prison on several burglary charges. Zoller and Micklo have been "on the run" for the past five weeks, according to court documents. On June 21, Long's aunt -- and Micklo's sister -- was cleaning the the empty home when she came across the brain-filled bag. She contacted Silver Spring Township Police, which then brought state police into the investigation. State police returned the brain to Cumberland County Coroner Charley Hall, who confirmed the brain was real and belonged to an adult human. Hall also concluded, according to court records, the brain was most likely a teaching specimen. "At this point now we're just trying to figure out where it came from," said Trooper Robert Hicks. "We're hoping that if anyone is missing a human specimen brain to bring it to our attention and maybe we can return it to its rightful owner." Long even gave the brain a nickname -- "Freddy" -- according to documents which detail a prison conversation between he and his aunt. Anyone with information on the whereabouts of Robby Zoller and Angela Micklo are asked to contact Silver Spring Township Police at 717-591-8240.